Here are some interesting facts about Charlotte, North Carolina: It is the largest city in the state, with a population just shy of 800,000. It’s the third fastest-growing major city in the U.S. It was founded in 1768 as Charlotte Town and became the seat of Mecklenburg County. In 1775, local leaders from the region came together and signed the Mecklenburg Resolves, declaring their independence from Great Britain – a year before the Declaration of Independence was signed in Philadelphia! In 1799, in nearby Cabarrus County, 12-year-old Conrad Reed found a 17-pound rock, which his family used as a doorstop. Three years later, a jeweler determined that the rock was nearly solid gold, and paid the family a sum of $3.50 for it. It was the first documented gold find in the United States of any consequence and it set off the nation's first gold rush. Many veins of gold were found in the area throughout the early 19th century, leading to the 1837 founding of the Charlotte Mint. North Carolina was the chief producer of gold in the United States until California’s Sierra Nevada find in 1848. While not calculated in gold, Charlotte is still a wealthy city. Measured by control of assets, the Queen City is the second largest banking headquarters in the United States, after New York. The nation's second largest financial institution by assets, Bank of America, calls the city home. Charlotte was also the former corporate home of Wachovia until its 2008 acquisition by Wells Fargo. The Charlotte Region also has become a major center of energy-oriented companies and has become known as "Charlotte USA – The New Energy Capital." In the region, there are more than 240 companies directly tied to the energy sector, employing more than 26,400 people. Oh, yes - Charlotte is the birthplace of Billy Graham. have a wider and deeper music scene, due somewhat to its greater population of college-aged aficionados. So, Charlotte sometimes gets slighted when big name bands go on tour. Nonetheless, the city still has its share of musical acts, venues, and festivals. Tremont Music Hall is a downtown venue that has been in operation since 1995 and has become one of the premier showplaces for independent/metal/alternative bands in the Southeast. The Fillmore Charlotte has a capacity of 2000 and is themed in the tradition of the legendary Fillmore West, in San Francisco. The room features the iconic music venue’s trademark decor, including red oak hardwood floors, red painted interior, vintage posters of legendary live music performances, magnificent chandeliers throughout, and state-of-the-art lighting and sound. These venues have traditionally been good places for musical performers to spread their sound beyond the walls of the concert hall, by promoting themselves with the sale of their latest CDs. And getting those CDs on the lobby table is what we do at Bison Disc. 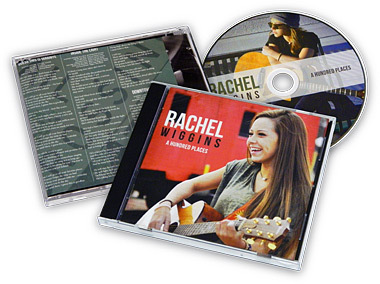 We duplicate, replicate, and package musical CDs for our customers in the precise numbers they need, and then present them in professionally designed and customized Jewel cases, Sleeves, Jackets, Wallets, and Digipaks. Some annual music festivals in Charlotte are: the NoDa (for North Davidson, a Charlotte neighborhood) Summer Musicfest; The Carolina Rebellion, a three-stage, heavy metal festival held at the Charlotte Motor Speedway complex; and July Jam-Charlotte, which presents local bands. Jazz is also alive and well in Charlotte. The online Yellow Pages lists 241 clubs, lounges, bars, restaurants, taverns, and pubs, in around Charlotte, that feature jazz. The Charlotte Sunset Jazz Festival in September presents nationally known and local jazz acts. Charlotte is also home to the Jazz Arts Initiative, a non-profit organization made up of educators, cultural arts patrons, musicians, and individuals dedicated to the continued development of Charlotte’s jazz heritage. The JazzArts Music Camp is a one-week comprehensive music training program for students, grades 7-12, offering instruction from the nation’s leading professional jazz educators and internationally recognized performers. Charlotte also enjoys classical music. Founded in 1932, the Charlotte Symphony is the largest and most active professional performing arts organization in the central Carolinas, giving nearly 70 performances each season and reaching an annual attendance of 130,000 listeners. The Orchestra’s principal home is the 1,970 seat Belk Theater of the Blumenthal Performing Arts Center. The Symphony Park amphitheater at SouthPark is home to the Charlotte Symphony Orchestra’s free Summer Pops concerts. Radio station WDAV 89.9, broadcasting from nearby Davidson College provides classical music and cultural arts programming, 24 hours a day. While Charlotte is not a major center of film production, the area does play host to several television series, studio features, made-for-TV-movies, and local independent productions. The Charlotte Regional Film Commission recruits feature films, independent movies, documentaries, commercials, and television series. It also serves as liaison with federal, state, county, and city governments to help production companies obtain necessary permissions and qualified incentives. While major studio feature films are still shown in their original 70mm. film stock format at the local theater, many independent producers have turned to the DVD and Blu-ray disc technologies in order to get their movies into the public domain in an affordable and efficient way. At Bison Disc we duplicate and replicate DVDs and Blu-ray discs, and then package them in one of our customized Digipaks or box sets. The only thing old timey about Bison Disc is our fierce dedication to making quality products and providing excellent customer service. 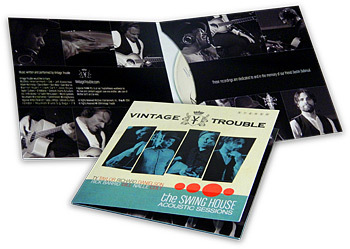 We’re the folks who help music and filmmakers package and present their art with our wide assortment of CD and DVD cases, jackets, wallets, sleeves and Digipaks. 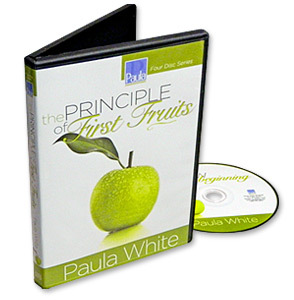 We also duplicate discs, provide shipping and mailing services, and create customized posters and fliers.